We were in Hanoi and Ha Long Bay just before and during Tet, the biggest holiday of the year. Folks get yellow and orange flowers and fruit trees for their homes during this time. 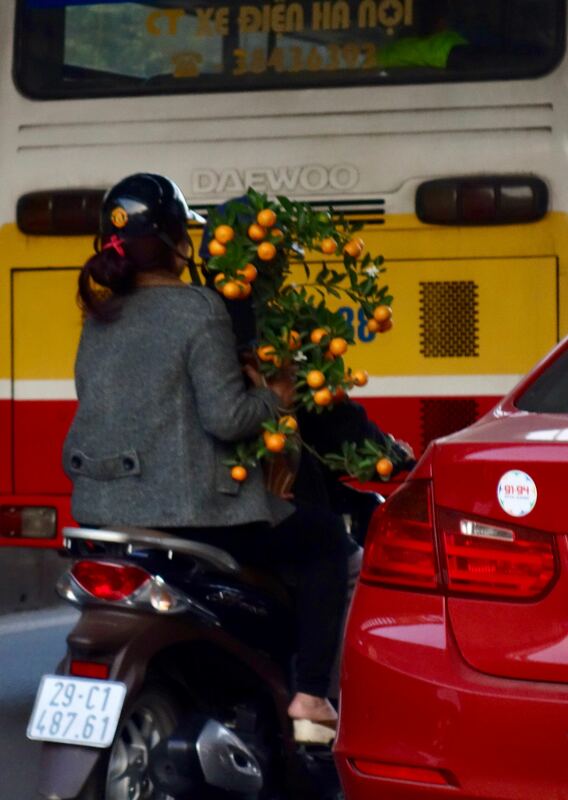 Hence, lots of orange trees on mopeds.